Pennsylvania quartet The Districts have already built themselves an impressive following. 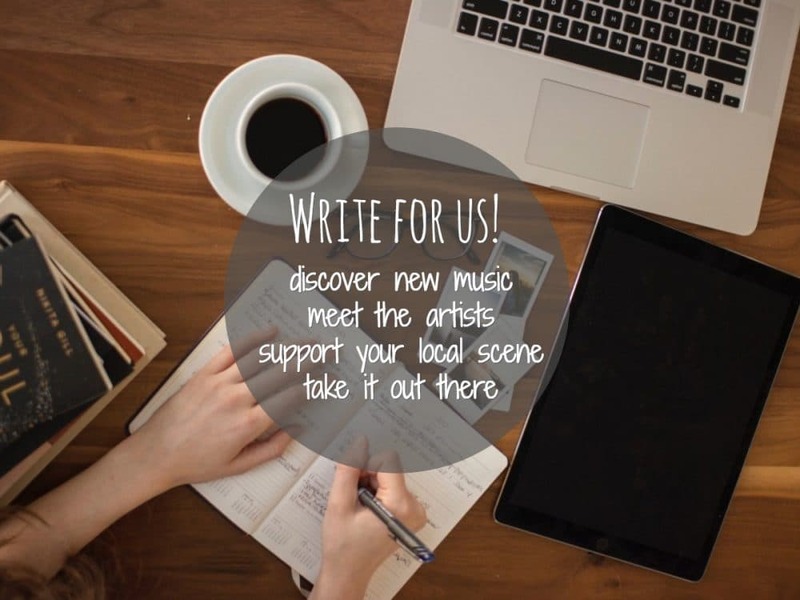 The boys from the small town of Lititz, Pennsylvania have already been on display at many top music festivals including SXSW, and Lollapalooza. 2014 would prove to be a tough year for the band, with a van full of equipment being stolen, and the departure of founding member Mark Larson. However the band carried on, replaced Larson, and charged forward on their second album (first on the Fat Possum label). The Districts are a young band, very young in fact. When Funeral Beds started to receive internet buzz, the boys were still in high school. 18 months later, the band are gearing up for their second album release and a massive 6 month tour seeing them travel around both the United States and Europe. For a group of 19 and 20 year olds, they have a mightily impressive CV. A Flourish and a Spoil looks to continue The Districts rapid ascent in the music world, and the band take a mighty crack at it. The album kicks off with the two singles taken off the album, 4th and Roebling, and the incredibly popular Peaches. The bands debut would be a tough act to follow, Telephone was an incredible album that put the boys on the radar. A Flourish and a Spoil offers a slightly more aggressive approach, but turns an impressive experience despite the change in approach. The essences of folk and jazz that were present throughout Telephone have been replaced with echoing and grand guitar rifts pushing the band more towards a garage rock sound than one of folk influence. A Flourish and a Spoil is a very fast paced album, but allows breathing room through Suburban Smell. A track that catches you off guard at first, but shows just how diverse the young group can be. Offering a slow, acoustic sound the track placement and length suggests it is placed to briefly relax your ears following a sharp opening five tracks. The final stretch would offer a return to the fast pace opening, and with fantastic effect. The final two tracks are arguably the most impressive two since the the beginning of the album. Young Blood clocks in at nearly nine minutes, while 6AM at almost six (don’t ask me if that was done on purpose). Young Blood is heavily occupied by a mesmerizing guitar rift that begins to eat away at you roughly halfway through the song, and without vocals will keep you bobbing your head for its duration before hitting you with an electrifying finale. 6AM is a slower end to the album, but finishes the album with a comforting ease. 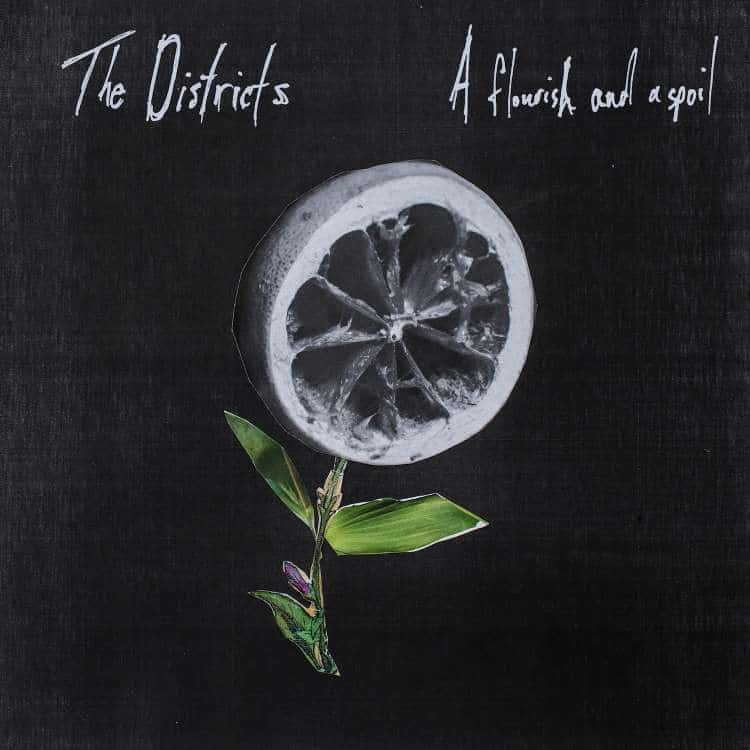 The Districts second album is a very impressive one, and highlights the bands attributes in a different way than that of their debut. There are times when the album suffers from being caught up in its own style, and there are other times when you are left in awe of the talent such a young band possess. The Districts second attempt may not be perfect, but it proves this band have incredible potential.